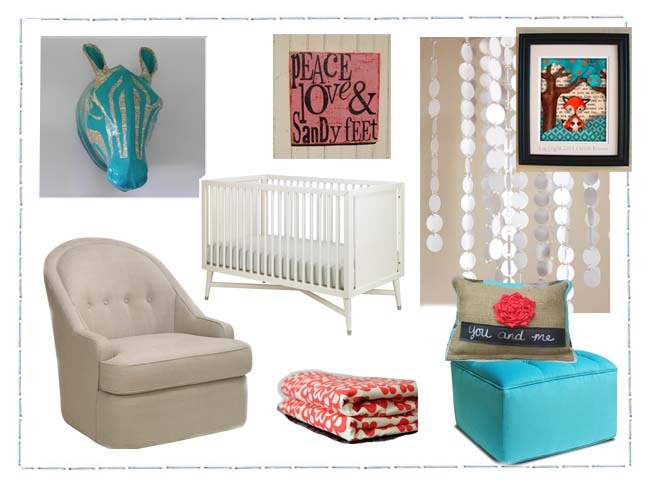 Let's mix two of my favorite colors– red and turquoise— for a baby girls' nursery. 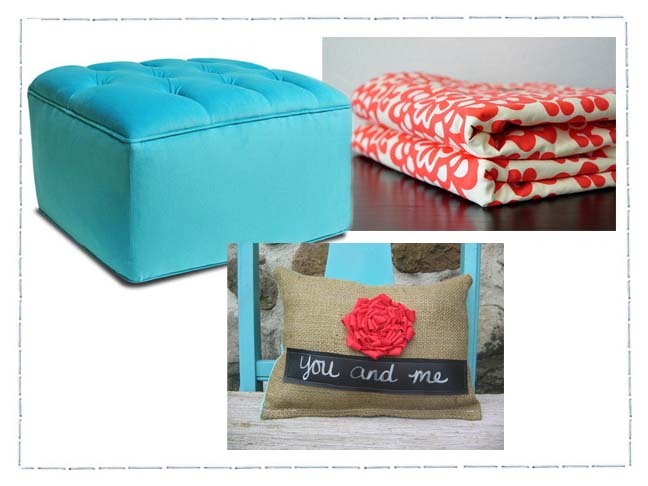 When these two bold colors come together, it creates a bright and cheery space for your little girl and your home. One of my favorite things to do it pick one (or two) focal points and build around that. For this room, we are going to make the rug and the ottoman the focal points. Then we add in some lighter colors– like cream, white and pink– to get a well-balanced look. Start with the focal point– the Mohawk Home Tropical Acres Select Strata Area Rug ($299). This rug not only includes the two most important colors of the room, it brings in a beautiful pattern that can be matched with so many other designs and colors. The DwellStudio Savoy Glider ($1190) brings a softness to the room with the natural linen, tufted buttons and rounded back. 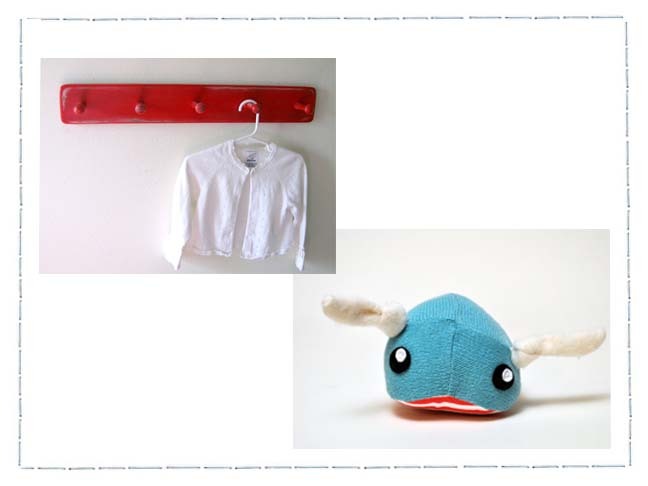 Click through to see more red and turquoise for the nursery! The second focal point is the Jennifer Delonge Grand Tufted Ottoman ($450). 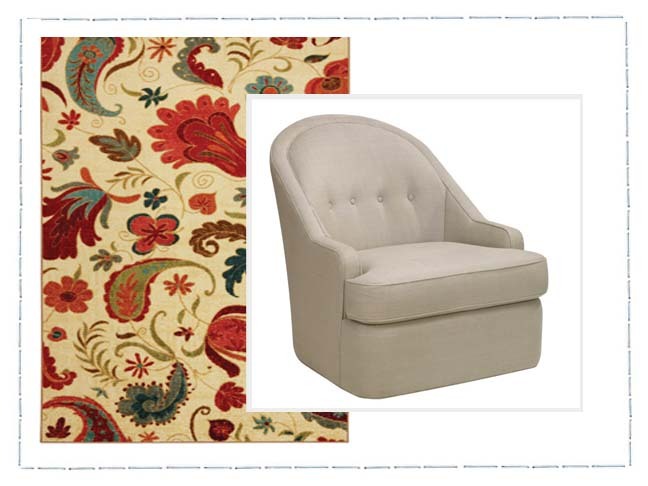 This velvety-smooth tufted ottoman compliments the Savoy glider and fits nicely with it height-wise. It becomes a statement piece perfect for resting tired feet. Drape the back of the glider with this Amy Butler Red Lotus Blanket ($32). Having a comfy blanket accessible (that happens to coordinate with the room) is one thing I love to piece in a nursery– you never know when mom, dad or baby might need a little cover-up. Prop this Chalkcloth Burlap Pillow ($15) in the glider, for show, to add some personalization to the room. Going with the simple, clean and modern look that meshes so well with the colors red and turquoise, the DwellStudio Century Crib ($980) is the perfect piece for baby to rest her head. 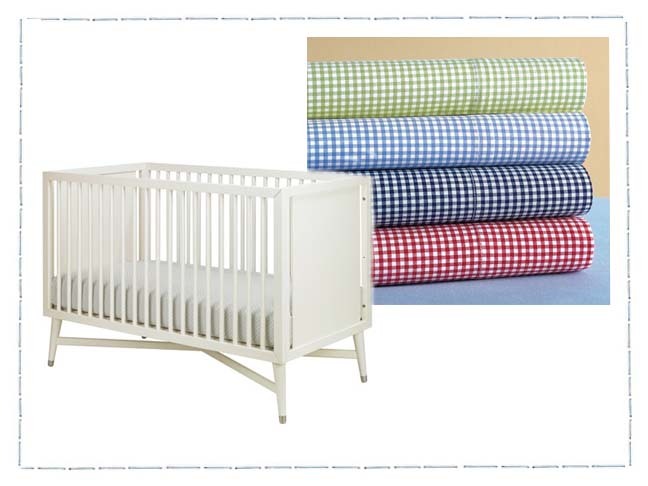 Mix things up a bit and go with the classic Pottery Barn Kids Red Cotton Gingham Crib Sheets ($39). By picking an unexpected pattern, you can change the look and feel of any room. Plus, with the DwellStudio Century Crib, there's no need for a crib skirt. 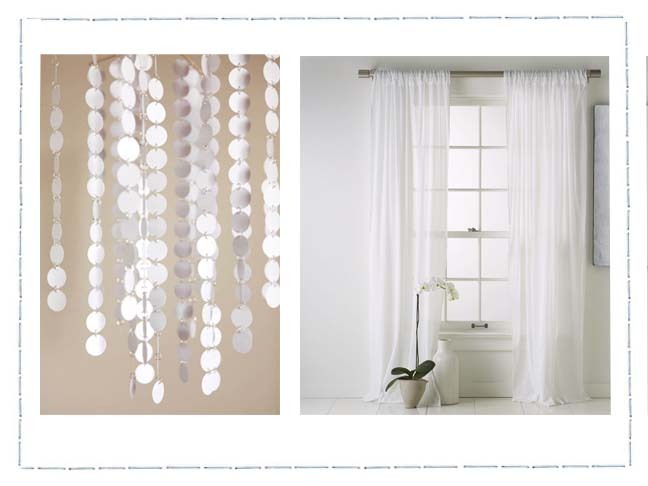 Skip the traditional crib mobile and go with the Lil Sprout Creations White Circle Chandelier Mobile ($75). Secure this mobile to the ceiling in the corner of the room, above the changing table or next to the glider. If you go with bold colors and busy focal points, try going with something softer for the window coverings… like the West Elm Crinkle-Cotton Window Panel ($24-32). Hang your little one's coats and hats on this Wreckd Distressed Red Peg Rack ($24) from Etsy. 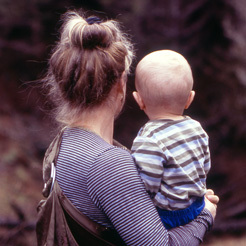 I'm a sucker for peg racks and wall hooks… just make sure you hang them low enough so as your little one grows, she can hang her coats up all by herself. Even Aquarius the Cozy Sweater Slug ($24) lovie can match the room! Or place this adorable friend on a bookshelf for decoration. 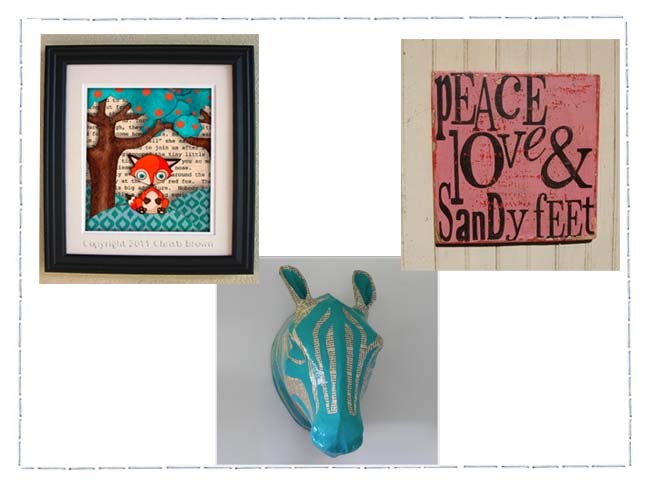 Bring in the feel of a fairy tale with this Baby Red Fox Art ($20) from Etsy. Frame it in a black frame to accent the rug and try this tip– surround framed, hanging artwork with family photos (and framed letters to your baby) to create a picture wall. This Peace, Love and Sandy Feet ($35) sign makes me smile and reminds me of everything "childhood". The red and pink colors with the playful words on the wooden plaque bring a cute conversation piece to this bright nursery. Because I like to be different and mix things up a bit every once in a while, add the DwellStudio Zebra ($76) to stand out. the growing trend of hanging fauxidermy in bedrooms and nurseries can be adorable if done right.